Kansas City can be, and usually is, identified with jazz, fountains, and BBQ. 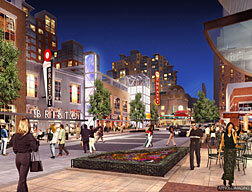 Kansas City has it all… and, right in the middle of the excitement is FP&C Consultants, Inc. Within just a 10 minute drive in any direction from our office, you can visit the gorgeous, Spanish inspired Country Club Plaza with hundreds of stores and restaurants, (www.countryclubplaza.com), the 18th and Vine Historic Jazz District, professional sports venues: Chiefs Arrowhead Stadium and Royals Kauffman Stadium, and of course many famous restaurants such as the legendary Arthur Bryant’s and award-winning Oklahoma Joe’s serving up plenty of BBQ, BBQ, and more BBQ!!! Also nearby is Crown Center, Hallmark Card’s superb center of commerce, entertainment and shopping. There’s the widely acclaimed National World War I Museum at Liberty Memorial. There’s the Nelson-Atkins Museum of Art with its new and uniquely different expansion, called by Time Magazine…”the Architectural Marvel of 2007″. Throbbing with excitement in our downtown is the recently completed Sprint Center and the 12 square block Power and Light District with’s its scores of new restaurants, clubs and entertainment venues. These are just some of the highlights. 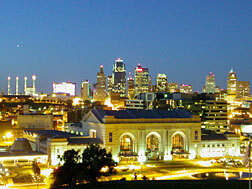 For more about FP&C Consultant’s Kansas City, visit the VisitKC.Com website. Here also is a Google Map marking hundreds of things to do and see with great information you might like. Kansas City, with it’s prairie and river history is very much grown-up and exquisitely sophisticated. It bustles with all the big city amenities tempered with Midwest America’s reputation for safety, politeness and joviality. You’ll like Kansas City, its people, and its environment.